If you’re looking for high quality and personal service, you’ve come to the right place. We are devoted to customer satisfaction. 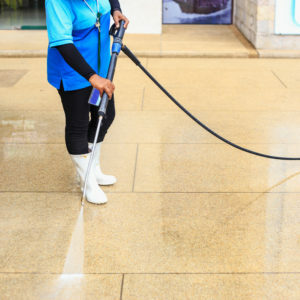 No two power washing jobs are the same and we perform every job with these facts in mind. Our goal is to provide you with results that exceed your expectations. Here at Crystal Clear Shine we are committed to maintaining the external appearance of your property. Our company provides affordable pressure washing services to commercial, industrial, and residential customers throughout the city of Carolina Beach and the state of North Carolina. From homes, driveways and sidewalks, to shopping centers and store fronts, no job is too large or too small. We have over 15 years worth of satisfied customers to testify to the quality and reliability of our service, and we look forward to serving you with the same degree of overall excellence. Crystal Clear Shine guarantees all of its work and offers FREE ESTIMATES and consultations. Power Washing Services: are perfect for stubborn stains, oil spills on concrete, and dirt build up on hard surfaces. With the appropriate pressure and solution of detergent we can clean just about any surface you send our way. Soft Washing Services: is great for roofs, wood siding, patio furniture, and more. The majority of the time we will use a low pressure wash to clean all surfaces which ensures 100% safety to any material. If you are ready for your residential or commercial property to have its beauty restored, contact our team today. We are here to help! With time, our roofs can become dirty, filled with streaks, and just lose their curb appeal. Luckily with our perfected roof cleaning solutions we will clean your homes roof in no time. If you live near trees, are in an area prone to storms, or experience large temperature fluctuations then you’ll want to clean the roof more frequently. Our recommendation is that you should clean and inspect your roof at least twice a year- spring and fall– when the seasons change. Two of the most terrifying words for homeowners are “water damage.” Gutters serve an important role for our homes. They carry rainwater away from the house, preventing soil erosion and leaks into sub areas such as basement, crawl spaces, and the foundation. Clogged gutters can also cause uncontrolled rain flow that could erode your landscaping. Even just a handful of debris can prevent your gutters from working and flowing properly. If they aren’t clear, rainwater will fill the gutters and eventually pull them loose from their mountings. We sweep and/or pressure wash the roof and clean the gutters and downspouts on your house or commercial properties. Contact us today to clean your gutters before the next rain fall. We will get your gutters flowing and working properly again, so you don’t have to worry. Many home owners neglect to wash their home regularly, and this includes their exterior patio and decks. When neglected from regular routine maintenance, this allows contamination, dirt, mold, and mildew to become ingrained into the surface of the property, which not only impacts the house’s beauty and curb appeal but also devalues the property and destroys its exterior. House washing is considered to be the lowest-cost home improvement project with the highest return on investment. Pressure washing your deck will remove the dirt and tannins that stain the wood if left for prolonged periods. We can do a fantastic maintenance cleaning of your deck, or do a thorough prep-cleaning if you’re planning to seal or stain it. Our professional deck cleaners can provide you with high quality exterior cleaning services meant for washing and restoring wood decks. We know how important your exterior living space is to your home, and we’ll do whatever it takes to keep your deck looking its best. All of our work comes with a 100% satisfaction guarantee, and we strive to provide the highest quality workmanship possible. With our outdoor pressure washing services we will remove any unattractive stains and reveal gleaming, new-looking wood underneath. There are other added benefits aside from just making your patio look better, we will actually: remove mold, mildew, or fungus and then by having it deeply cleaned and re-sealed it will provide you with protection from harsh weather and the outdoor elements, adding years back into your decks life. Carolina Beach is located 15 miles south of Wilmington, NC on the northern end of Pleasure Island. Visitors discover an unhurried and friendly atmosphere where families can visit marinas, book offshore fishing excursions, and stay comfortably in a variety of hotels and airbnb’s. Its streetscape is filled with small shops, restaurants and fun family entertainment. Its time to trade your ordinary beach vacation for an extraordinary one! Find your laid-back beach vibe at Carolina Beach, one of the most down-to- earth, good-time beaches on the Atlantic Coast. Fun-loving and free-spirited, Carolina Beach offers live music and events, a vintage boardwalk and colorful characters around every corner for a beach vacation that’s unmistakably Carolina Beach. The boardwalk is perfect for daytime or evening strolls, dining and ice cream cones. The gazebo and its live music, surrey bikes and much more round out a list of boardwalk things to do. If you are interested in seeing the towns historic side, you can visit the Federal Point History Center where visitors can learn about the history and development of Carolina Beach. Pre-historic, Colonial and Civil War periods are also portrayed through a series of exhibits and audio-visual presentations. Nearby on the island, the For Fisher State Historic Site and Civil War Museum. Families also enjoy seeing the Aquarium at Fort Fisher. In addition to its nostalgic charm, Carolina Beach also boasts an active charter boat basin – home to offshore Fishing excursions and nightly party cruises, a state park full of hiking trails and coastal vegetation, locally-owned restaurants and a vibrant nightlife. Carolina Beach NC, has it so much to offer its visitors. We welcome you to come check it out for yourself, and get to know the town like the locals. Great service, easy scheduling, and good communication. Crew showed up on time and did an amazing job pressure washing. High quality services at affordable prices. Each step along the was quick and easy! The results were great! Thanks to your crew for getting our windows shining and streak free. We were getting ready to sell our home and crystal clear shine came and got it ready for us! They did a wonderful job cleaning the windows and pressure washing the driveway. We will definitely be using your company to help us at our new home! Crystal Clear Shine is overall just an easy company to work with. They do fantastic work and provide 5 star services every time. Thanks for soft washing our home and making it look new! Thanks to this awesome company for cleaning our deck they made it look brand new! We are very impressed with their knowledge and skills to remove stubborn streaks and mold that was on our deck. These guys do excellent work! They cleaned our windows and our roof for an excellent price! We will be recommending them! Had our driveway looking fabulous. Thank you so much for the great work! !